Companies who want to do right by their employees have been revisiting their bereavement leave policies. In some cases, companies are expanding the traditional bereavement leave policy to include more paid time off. In other cases, companies are adding an additional category of leave called compassionate leave because life can serve up difficult situations that don’t include the death of a loved one. Two years after Facebook COO Sheryl Sandberg’s husband passed away unexpectedly from a heart attack, the company revisited its bereavement policy. It expanded bereavement leave to 20 days of paid time off to mourn the death of an immediate family member, and 10 days of paid time off due to the death of an extended family member. This represented a doubling of their paid time off benefit for bereavement purposes. Facebook also adjusted illness-related time off to care for or be with sick family members. It now grants three days of paid time off to deal with a short-term illness, such as an immediate family member having the flu, and six weeks of paid time off within a rolling 12-month timeframe to be with a family member suffering from a more serious illness. Other big companies such as Mastercard soon followed suit with similar expansions to their bereavement leave policies. It should be noted that there are no labor laws that require employers to offer bereavement leave of any kind, and only 60% of all workers and 71% of full-time workers have access to a bereavement leave benefit. When they do, it is on average only three days for the death of an immediate family member and only one day for an extended family member. When you think about the impact that grief can have on productivity in the workplace, these standard policies seem woefully inadequate. There are also all kinds of difficult or traumatic events that can occur in life that have nothing to do with death of a loved one, which has prompted some companies to institute a new type of leave category called compassionate leave or family responsibility leave. 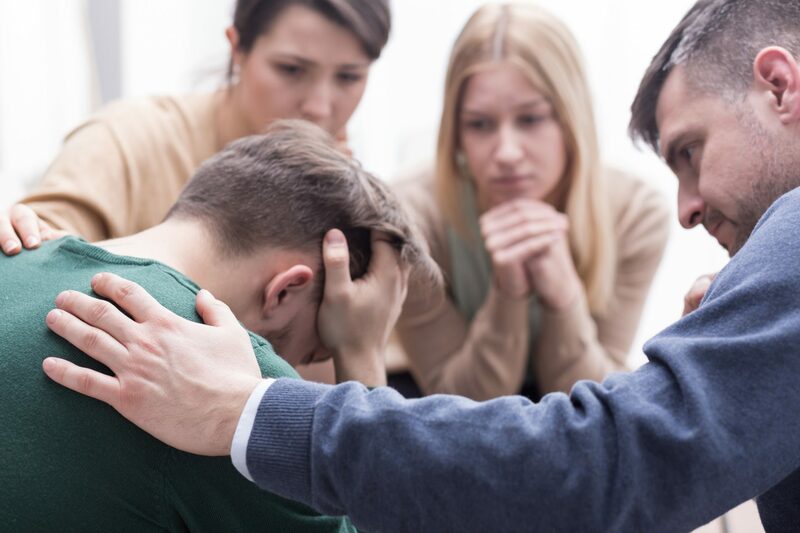 In some cases, bereavement leave is included under this new umbrella category, but it’s meant to cover more than just death or serious illness. The types of emergency events that might qualify for compassionate leave are hugely variable, but in general would include an employee’s dependent suffering a traumatic event such as being the victim of a crime, having a nervous breakdown, a sudden change in caregiving of a dependent, and so on. Even though there may be no physical injury per se, the traumatic nature of the event can mean the dependent needs extra care and comfort or caregiver coverage. There is no clear way to decide what sorts of emergencies might qualify for compassionate leave. Each company has to figure this out on their own, often on a case-by-case basis if it offers the benefit. Because of this variability, it’s also difficult to come up with a set amount of time off. For the sake of planning, a nominal amount of paid time off might be explicitly included in a policy, such as two or three days, with more time allowable if circumstances warrant it, the additional time off might be unpaid. The nature of traumatic emergencies by definition means your company won’t have time to plan for a sudden unexpected absence. This highlights the importance of advanced contingency planning for how unexpected absences can be covered, whether that is accomplished through cross-training initiatives so multiple people know how to cover essential duties of other employees or having a good pool of on-call temporary workers who can step in when needed. If your company is considering changes to its bereavement policies or instituting a new type of leave such as compassionate leave that covers emergencies other than bereavement, you’ll find leave management to be much easier if you adopt an easy-to-use robust software solution such as CaptureLeave. Because it is a web-based solution, you never have to worry about installing any software, maintaining it or updating it – we handle all of that behind the scenes. CaptureLeave can be accessed from your preferred devices that have an Internet connecting and web browser. Find out what CaptureLeave can do for you with a free 60-day trial after which you can enjoy affordable pricing as a monthly no-contract subscription fee based on the number of users at your company. If you’re currently managing leave time manually with paper forms, spreadsheets, calendars and endless emails, then you’re probably painfully aware of how much of your time is being wasted that could be better spent elsewhere. Instead of manually looking up how much leave an employee is allowed and then calculating where they’re at, this can all be automated when you use a robust web-based leave management system like CaptureLeave. You can set up each unique leave accrual for each employee so you always instantly know where they’re at in terms of leave time available and leave time used. Employees can request their leave time online using the system, totally eliminating the need to fill out paper forms. Automating as much of the leave management process as possible will make your life so much easier! The instant visibility you get into the big picture of your company by managing leave time online with a solution like CaptureLeave will result in many fewer headaches and hassles. There will never be any question about whose leave request came in first because it’s all tracked within the system. You’ll easily be able to see where there are potential conflicts in order to resolve them earlier and faster. Each employee user will also always know where they’re at in terms of leave time accrued, which will prevent them from requesting time off they don’t have just to have the request rejected. And there will be fewer conflicts to begin with because employee users will also be able to see what percentage of their colleagues are already going to be off on any given day, which will inform their own leave requests. The flexibility of the CaptureLeave solution means you get to define the types of leave you offer at your company. You can also make different groupings of employees that have their own unique leave management needs and requirements. We built CaptureLeave in a way that allows as much customization as possible to match up to what your company needs. This flexibility in customization is a big part of why managing leave time online with CaptureLeave will give your company maximum benefits at minimal cost. Because CaptureLeave is a Software-as-a-Service (Saas) web-based solution, it can be accessed 24/7/365 on any device with an Internet connection and web browser. When you’re tied down with paper forms and spreadsheets, it’s impossible to manage leave time on-the-go. When you make the smart choice of managing leave time online, it doesn’t matter where you are or what time of day it is, you can easily do what needs to be done. With CaptureLeave, your dashboard gives easy access to your company’s leave calendar, custom leave requests, pending leave requests, and an easy-to-read chart of your leave utilization. Generate reports for individuals, groups of employees or the whole company with just a few clicks. And if you really need to download these reports as beautiful Excel spreadsheets, you can even do that. All your data in CaptureLeave can be viewed in real-time at whatever level you need from individual to company-wide. You also have the flexibility to quickly switch the timeframe of your data view from daily to weekly to monthly or even annually when needed. The format in which you view data can also be switched from a graph view to a chart view – whatever is best for you or for the reports you need to generate. 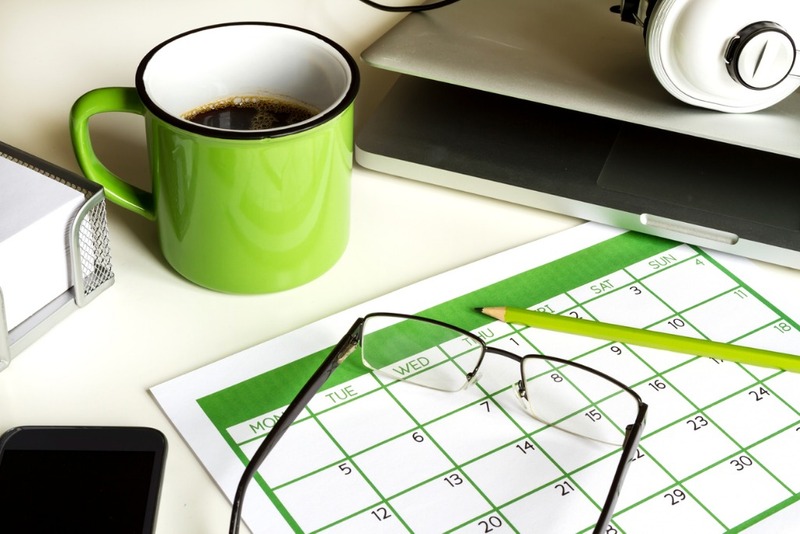 Want to see your approved time off appear on your personal calendar? CaptureLeave integrates with Google, Outlook and iCal with the click of a button. CaptureLeave lets you assign three different user levels that include Administrators, Managers and Employees. Having that Manager category is key because you can delegate responsibility to them for helping manage leave time for the employees they manage. And doesn’t lightening your load sound like a good thing? Your company’s leave policies are the source of everything you do when managing leave time online, which is why CaptureLeave includes a document management component that allows you to easily create, edit and distribute updated company policies as needed to everyone or just to selected groups of people. The document library can include however many categories of documents you need, and the documents can be in a variety of formats, including Word, videos, audio, HTML, pdf and more. You also control who can access which documents. CaptureLeave also logs each and every change to documents so you’ll always know who has done what. We know we’ve created a robust, easy-to-use system for managing leave time online with our CaptureLeave solution – but you don’t have to just take our word for it. We off an unprecedented 60-day free trial so you can see for yourself how CaptureLeave will make leave management much easier for you and your whole company. At the end of the free trial, you’ll then appreciate our affordable pricing as a monthly subscription fee based on the number of users, starting at just $25/month for 5-15 users. How clear are the policies at your company regarding how employees go about taking time off? If there are not clear procedures in place, or if employees don’t know what those procedures are, then this will undoubtedly continue to be one of your headaches regarding managing time off at your company. This may seem like an obvious no-brainer, but when’s the last time you really looked at your company’s time-off policies? If you are continually finding time-off requests to be a problem, then chances are good that you need to revisit your policies, or do a better job at making sure employees know what they are. There will inevitably be times when you cannot honor multiple requests for time off within the same team or department. How you handle these situations when they occur is of vital importance. If you don’t handle them just right, you’ll have some very unhappy employees on your hands. What you need is a real strategy. Maybe it’s based on seniority or maybe you’ll use a first-come-first-served approach. Whatever strategy you do use, it is incumbent upon you to make sure the employees understand how such conflicts will be handled, and to clearly explain your decision in order to close the communication loop and not leave people feeling neglected, resentful, or wondering if you were playing favorites. Get it right! A sense of panic can set in when a key employee or team member is unexpectedly out sick or due to some other emergency. This can be especially nerve-wracking if another key person is already out on vacation when the unplanned absence occurs. This can be one of the most stress-inducing headaches of managing time off you’ll ever experience because when it happens, there may not be much of anything you can do about it. The only way to effectively address this problem is with a high level of big-picture planning. Do you have a temp agency you work with that can quickly fill the gap? Have employees been cross-trained in such a way that there is someone who can step in when needed? Creating and implementing a formal cross-training program is a major undertaking, but one that will serve your company well for years to come when this situation arises. 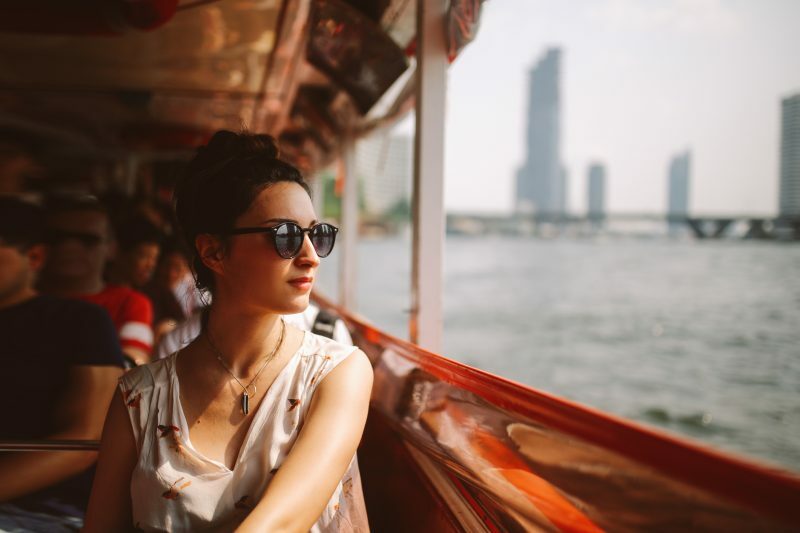 Every company has employees who seem to keep accruing unused vacation days, and those can become a surprisingly large financial liability when an employee leaves and the company has to pay them for unused time off. But beyond the financial liability unused time off, there is also the toll it takes on the productivity of your employees due to stress and burnout. For more information on this problem, see my previous article, Vacation Time’s True Cost to Your Company. Creating a workplace culture that encourages employees to take the time off they’ve earned is important, and it starts by having company leaders and managers model it themselves for the sake of everyone’s sanity. If your methods for managing time off include paper forms or electronic spreadsheets, then it’s high time for you to enter the digital age of the 21st century and get the right time off tracking tool that will lessen all your headaches regarding managing time off. This falls into the category of working smarter, not harder. Paper forms and spreadsheets are sucking up way more time than you or your company can afford. And there’s no reason to put up with that for even one more day when there are plenty of solutions out there that are easy to adopt and use for surprisingly little money. You owe it to yourself and your company to make this happen. 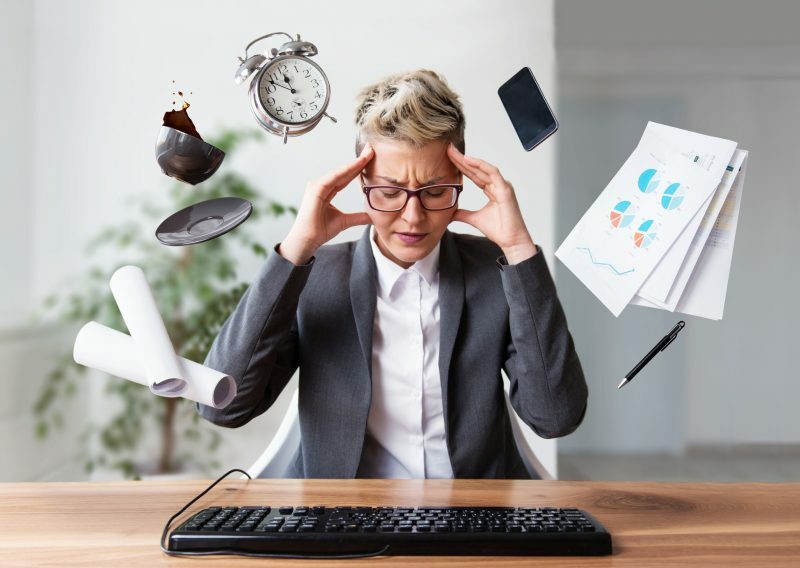 If you’re ready to start reducing and eliminating these top five headaches managing time off at your company, then we encourage you to take a closer look at CaptureLeave. This easy-to-use software-as-a-service (SaaS) application is available anytime on any device with an Internet connection and web browser. Discover just how easy it can be to manage the leave time of all your employees with a free 60-day trial. If you like what you see, then you’ll also be pleased with CaptureLeave’s affordable monthly pricing based on the number of users. Leave the headaches behind and start enjoying stress-free time off management today! As explained in previous articles throughout this blog, PTO is a concept that has been gaining traction for years in the business community. Rather than separating out vacation time, sick time, personal time and other forms of time off, employees are granted a specific number of paid time off days that can be used for whatever purposes the employee needs. The more recent twist on the PTO concept is one that sounds downright crazy to many companies – unlimited PTO. With this new take, employees aren’t even given a specific number of PTO days. They are simply told that they can take as much paid time off as they want if (and this is a big if) they are meeting their performance goals. The truth of the matter is that such a policy can only work at a company by limiting unlimited PTO. If that sounds like an oxymoron, read on and you’ll understand why even unlimited PTO has to have its limits. Unlimited doesn’t mean unplanned. No business would last long if its workers could take time off without any advance notice. After all, your company needs to be able to plan on covering the workload when needed to keep company operations on an even keel. Work with your employees to make sure business goals will still be met. Unplanned sicknesses and emergencies will still happen, but unplanned vacation should not. You still need to have a time off request and approval process in place. Limit who is eligible. It might not make the most sense to offer an unlimited PTO benefit to every single employee right from the start. Maybe new hires don’t get the benefit until they’ve shown good performance during their first few months. Set whatever reasonable eligibility thresholds make the most sense to your company. Enforce performance goals. Unlimited PTO policies can only work if your employees are getting the job done well. Making unlimited PTO contingent upon performance goals means you have to have a robust performance evaluation system in place that frequently reviews an individual’s performance relative to firmly established goals. Limit consecutive days of PTO. For the sake of continuity and work coverage, you should probably set an upward limit of how many consecutive days of PTO can be taken, such as two or three weeks maximum. Minimize time off conflicts. Similar to limiting unplanned time off and consecutive days taken, you must also manage time off requests to avoid having too many people in one department being away from work at the same time. The overall burden of effectively managing employee time off does not disappear with an unlimited PTO policy. If anything, it will probably require even greater vigilance to make sure the system is not being abused. An unlimited PTO policy makes employees feel valued. It is a very attractive benefit to list in recruitment and hiring ads. With unlimited PTO, employees will be less likely to come to work sick, thereby spreading an illness, as they won’t be trying to horde time off for a vacation. 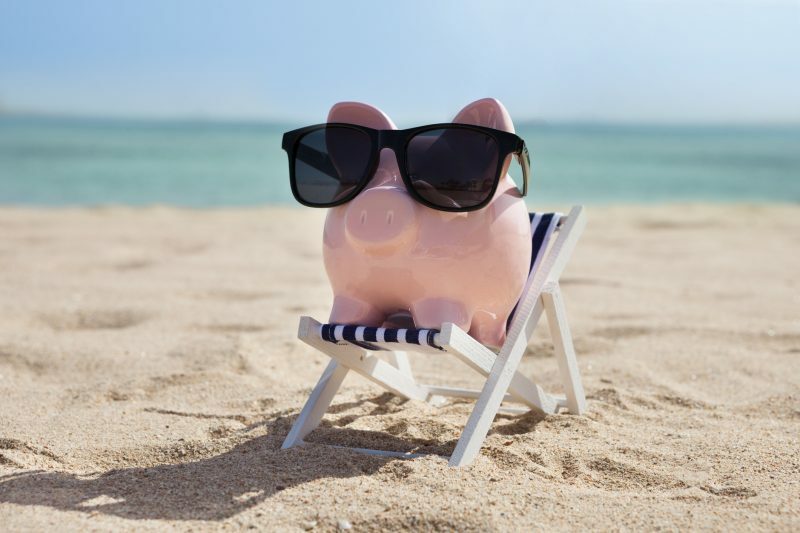 Because no days off are accumulated, your company might be able to avoid unused vacation payouts depending on state laws – and won’t have to keep track of accumulated unused time. For employees, the idea of unlimited PTO sounds like a dream come true, but from the employer’s perspective, it still needs to be managed within reasonable limits. Limiting unlimited PTO is the only way to make it a viable policy that meets the needs of both your company and your employees. Whatever approach is ultimately taken at your business, you still need to accurately measure and manage the time off your workers take. You don’t need an enterprise-level suite of software packages with more than you need to get this particular job done. Experience the power of our web-based, user-friendly CaptureLeave application by signing up for a free 60-day trial with very affordable monthly pricing after you see what it can do for you! Every business is all too aware of how paid vacation time represents a cost to the company in terms of lost productivity. But most businesses have learned how to cope with and adapt to this basic employee benefit. What companies are less good at recognizing, however, are the benefits a business realizes when its employees take their paid vacation time. This article is about vacation time’s true cost to your company, but from the perspective of the costs incurred when your workers do not take their paid vacation time. Although this may sound counter-intuitive, there are real impacts when employees don’t take the time they’ve been granted. According to Project: Time Off (source), more than half (52%) of America’s workers left at least some paid vacation time on the table in 2017. This is the third year in a row that this figure has dropped (it was 54% in 2016 and 55% in 2015), but the declines have been very small. Not wanting to appear to be less dedicated or somehow replaceable. Lack of coverage for being away or feeling no one else can do the job. Fear of derailing career progress. Company leadership doesn’t model taking time off. Fear of backlash from colleagues and/or managers. The figure of what employees essentially donate to employers through unused vacation days is actually too low because it doesn’t account for a surprisingly common phenomenon – workers who continue to do at least some work while on vacation. One recent study reports that 56% of American workers do at least some amount of work while on vacation (source), while another reports that fully 30% do a significant amount of work during vacations (source). At first glance, many businesses are more than happy to have their workers leave vacation days on the table. After all, the business is better off when employees work more, right? The problem is that this often not the case. Workers who don’t use their earned vacation are more stressed out, anxious, and more likely to get sick and have to stay home. The painful truth is that unused vacation time’s true cost to your company is very real – lost productivity when workers are unable to give you peak performance because they need a break – a real break that offers them the opportunity to rest, rejuvenate and come back to work ready to be more fully engaged in their jobs. As an employer, it’s time to wake up from the illusion that you’re getting more out of your workers when they don’t take earned vacation time. The more likely reality is that you’re losing precious productivity thanks to employee burnout. The benefits of taking vacation time are huge. In fact, they even begin before the vacation itself. Just planning for a vacation makes people happier and increases motivation for weeks ahead of time (source). And the benefits of a well-deserved vacation can last for months afterwards (source). When you take an honest look at your company’s workplace culture as it relates to taking earned vacation time, what do you see? Then take a look at the actual data from your human resources team in terms of unused vacation days from the previous year. If what you piece together includes a lot of unused vacation and a culture of not taking time off, you have your work cut out for you if you want your company to avoid the costs and realize the benefits of getting your employees to use their vacation time. Examine your company’s time off policies and make sure they are crafted to encourage taking earned vacation time rather than being a barrier to it. Shifting company culture to one that encourages taking vacation time is harder, but it begins with having company leaders and managers serving as good role models in taking real time off. Whether or not your workers take all the vacation time they’ve earned, you still need to track all the different kinds of leave they do take. CaptureLeave was created to provide a powerful but easy-to-use solution for managing leave time. Our software-as-a-service (SaaS) application is web-based, which means it’s accessible 24/7/365 from any device with an Internet connection and web browser. You never have to worry about installing updates or performing system maintenance as all of that is handled by us behind the scenes. You can experience the benefits of CaptureLeave with a free 60-day trial, and then enjoy affordable monthly pricing starting as low as $25/month for 5-15 users.